Milan, September 16, 2013 – Following two fast and historic circuits in the heartland of Europe, Spa and Monza, Formula One is now headed for a complete contrast: the ultra-modern Singapore street circuit, which is the only race on the calendar run at night under street lamps. 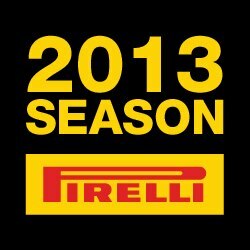 To suit the stop-start nature of the track, Pirelli has selected the P Zero Red supersoft tyre – the softest tyre in the range – and the P Zero White medium. As well as the fact that the race is run at night, with the teams all sticking to a European time schedule, there are a number of other factors that make the Marina Bay circuit unique. In terms of duration, this is usually the longest race of the year as it often comes close to the two-hour time limit, which means that the cars carry the heaviest fuel load of the season. It’s also one of the most humid races of the year, and statistically there’s a high chance of a safety car intervention. All these elements affect tyre wear and degradation as well as strategy. Traction is fundamental as Singapore contains the second-highest number of corners of the year (23). The asphalt tends to be bumpy and slippery, with grip compromised by street markings and manholes. But the cars can still generate 4.3g under braking despite the lack of grip. The humidity levels at Singapore are between 75% and 90%, which can often lead to rain. Consequently, there is a high chance that the Cinturato Green intermediates or Cinturato Blue full wet tyres could also be used. Singapore has one of the highest pit stop times of the year, due to a lower pit lane speed limit than most races (60kph) and a 404-metre pit lane, which has an impact on the strategy as well. As well as being a long race, fuel consumption per kilometre is one of the highest of the year due to the stop-start nature of the circuit. Around half the lap is spent on full throttle, but there are also several braking areas. All the podium finishers last year used a two-stop strategy. Sebastian Vettel won the race from third on the grid with the P Zero Red supersoft tyre and then completed two stints on the P Zero Yellow soft tyre. Jenson Button finished second using exactly the same strategy. All of the top 10 on the grid started the race with the supersoft compound. Race strategy at Singapore has to be very flexible in order to take into account the high safety car probability (there were two safety car periods last year). Safety car periods mean that some drivers can effectively bank a ‘free’ pit stop, and it also slows down overall wear and degradation as lap times are much slower.